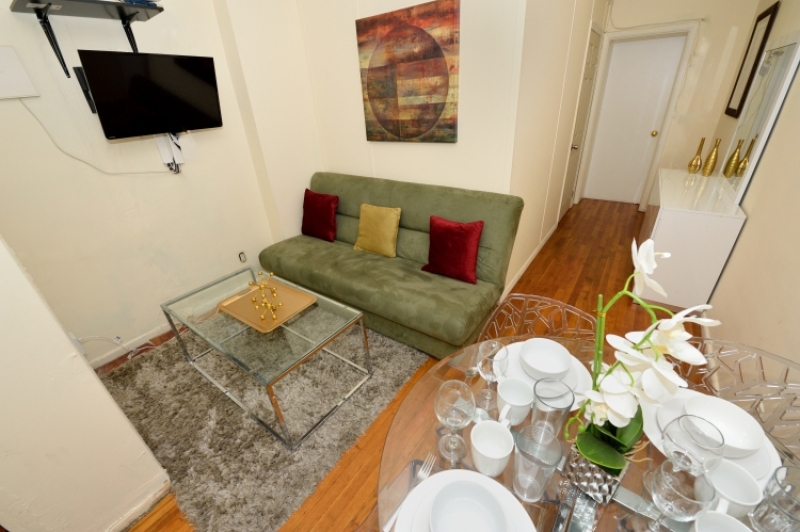 Stay walking distance to Times Square in this big, bright and beautifully decorated, 2 bedroom apartment in Midtown South. This unit comfortably sleeps 4. This apartment offers numerous extras including flat screen cable TV, wireless internet, hardwood floors, charming exposed brick, and more. A true home away from home.